Singer-songwriter. That’s the buzzword in the music scene these days. Unlike others though, lawyer-turned-musician Angad Katari hadn’t set out to be so. 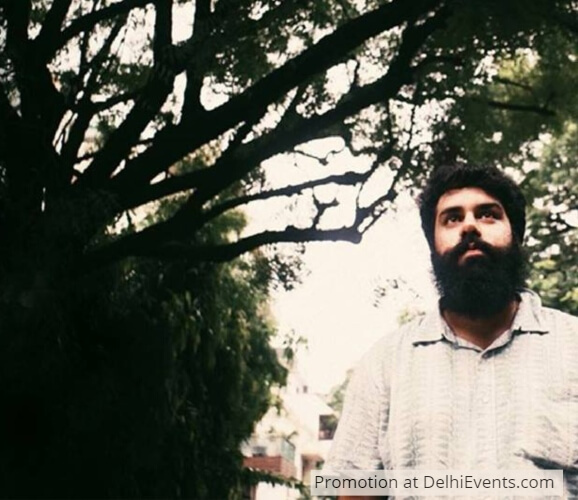 Which is what makes this Delhi-based, 24-year-old singer-songwriter’s journey as incredible as his music. While in school, Angad picked up the congo and eventually started playing the drums. Coming from a family of lawyers meant that a degree in law was his obvious choice. But he continued playing the drums with a college band and performing at various college fests. Their genre of choice—heavy metal! Around the same time, Angad wrote his first few songs. The music that he composed though, was a paradigm shift to what he played with his band—mellow, melodic and utterly soulful. While in his final year of college, Angad attended an open mic at one of the popular live music venues in Delhi at the time. He went on stage to sing the song that he’d eventually release as his first single—“I Loved You”. The experience of singing his own original to an enraptured audience changed his life. Angad skipped his final law internship and with a repertoire of 10 original songs, started playing gigs instead. Now that repertoire has grown to include 26 songs and he has written at least 50 more, both in English and Hindi. In November 2017, he released his debut album titled “Lost”. Angad has played at venues and events across the country, including The Pianoman Jazz Club, Nagai and Hungry Monkey in Delhi, High Spirits in Pune, Upstairs Club in Chandigarh, The Habitat in Mumbai, Sofar Sounds, House Concerts Delhi, Spoken Word Festival, opening act for Ankur and The Ghalat Family and many others. Largely acoustic, with bass, keyboards and drums for company on stage, Angad’s music is simple, groovy and straight from the heart. His songwriting too is unassuming, yet poetic. And the inspiration behind it all? Life, love and heartbreak… things you, I and everyone else can relate to only too well!